Blackberry launches its 3g smartphone Blackberry curve 9320 in India for Rs. 15990. 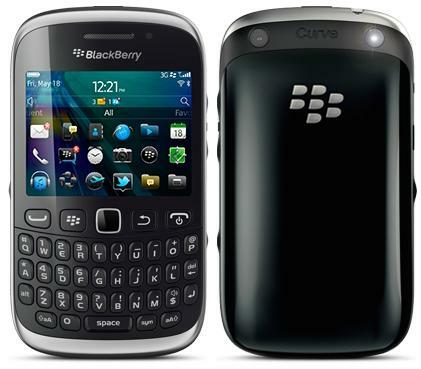 The new BlackBerry Curve 9320 smartphone comes with 2.44-inch (320×240 pixels) TFT display with Full QWERTY keyboard, BlackBerry OS 7 and a 3.2 Mega Pixel camera. Other features include, dedicated BBM key for faster, better communication, 512 MB of RAM, 2G / 3G (GPRS/EDGE/ HSPA+), FM Radio, WiFi 802.11 b/g/n, Bluetooth v2.1, 3.5 mm audio jack. It comes preloaded with range of Social Apps & has Parental Control feature to restrict the use by children. It was time when Black Berry was considered as a part of status but now it is in the hand of almost every level of society no matter you are in upper class or lower middle class now you can afford this phone. Curve 9320 is an old version and not too popular nowadays. People prefer other brand of smart phone like Samsung, Oppo and Huwaei etc much more than Black Berry. For more technology news dunya news live is the best source for this.